All of our Octagon barrels are cut on a CNC Machining Center making whatever you can dream up, we can do it. You want a traditional octagon, no problem. You want an octagon in a McGowen #4 contour, no problem! We also do Dodecagon barrels. I know, what is a Dodecagon? 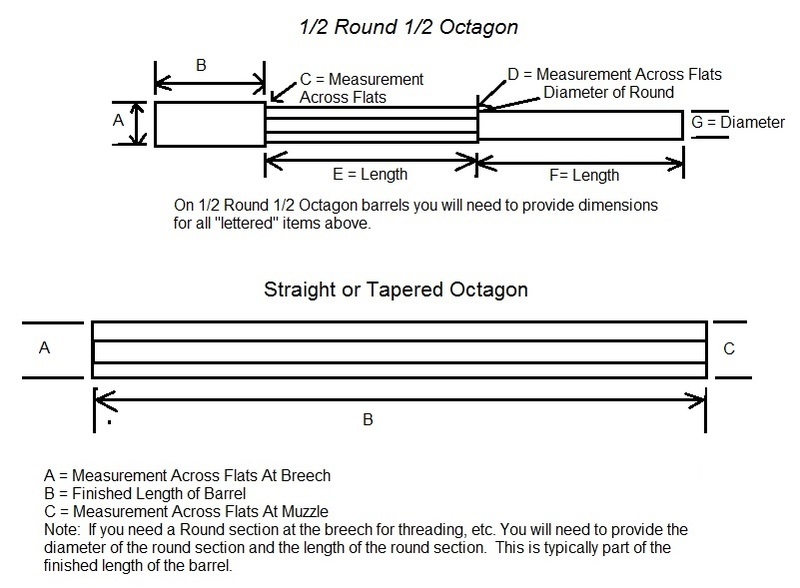 An Octagon rifle barrel is a 8 sided barrel, a Dodecagon is a 12 sided barrel. The flats on a Dodecagon are typically narrower in width. It is what we like to refer to as something that is halfway in-between a round barrel and an octagon. Cost is for up to 26″ finished Length, anything over 26″ finished length is $10.00 per inch. Price is for up to a 26″ finished barrel, anything over 26″ finished length is $10.00 per inch.